Dr. Davis is a health services researcher who has additional training in data science. His research focuses on leveraging large sources of data to study important policy-relevant issues. Dr. Davis has made several important contributions to a variety of areas including the identification of dietary sources of arsenic exposure in the US population, studying national use of health services over time for nonspecific back pain, and the development of methods to use social media data to measure social support and public opinion. A specific interest of Dr. Davis is the application of data mining methods to healthcare claims data. 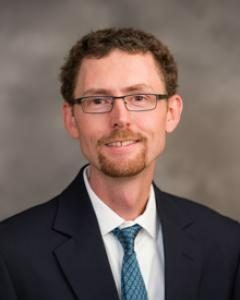 Funded by the NIH, his current work is investigating health service substitution for nonspecific back pain by conducting a natural experiment of Medicare patients. He received his Masters in Public Health from Dartmouth Medical School and his PhD in quantitative biomedical sciences from Dartmouth College. Dr. Davis’s research has received national media attention on several occasions. Articles about his research have appeared in outlets including Forbes, The Huffington Post, USA Today, Time, The Atlantic, and Consumer Reports. His research has also been featured on NPR’s Marketplace and the Today Show.